Recent works have validated the possibility of improving energy efficiency in radio access networks (RANs), achieved by dynamically turning on/off some base stations (BSs). 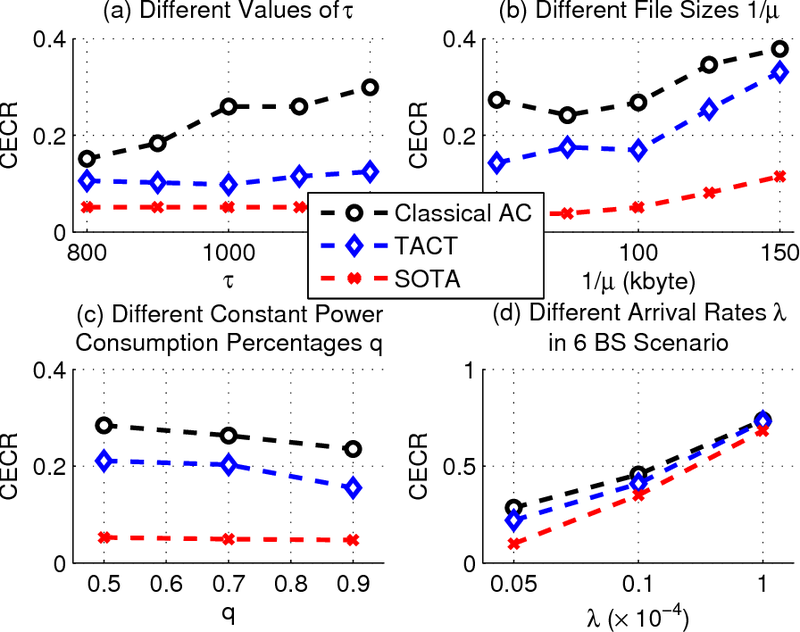 In this paper, we extend the research over BS switching operations, which should match up with traffic load variations. Instead of depending on the dynamic traffic loads which are still quite challenging to precisely forecast, we firstly formulate the traffic variations as a Markov decision process. Afterwards, in order to foresightedly minimize the energy consumption of RANs, we design a reinforcement learning framework based BS switching operation scheme. Furthermore, to avoid the underlying curse of dimensionality in reinforcement learning, a transfer actor-critic algorithm (TACT), which utilizes the transferred learning expertise in historical periods or neighboring regions, is proposed and provably converges. In the end, we evaluate our proposed scheme by extensive simulations under various practical configurations and show that the proposed TACT algorithm contributes to a performance jumpstart and demonstrates the feasibility of significant energy efficiency improvement at the expense of tolerable delay performance. 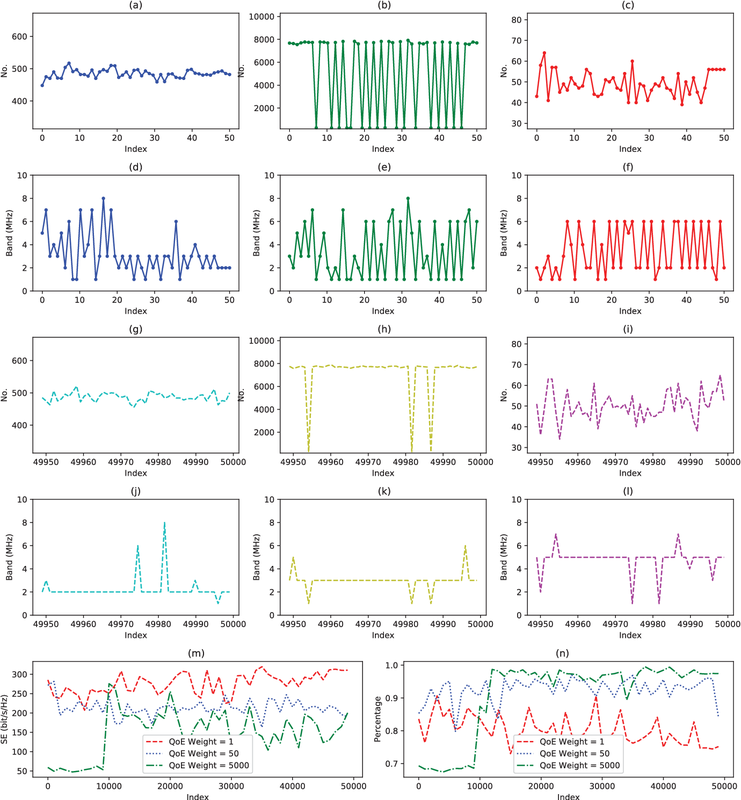 Time series prediction can be generalized as a process that extracts useful information from historical records and then determines future values. 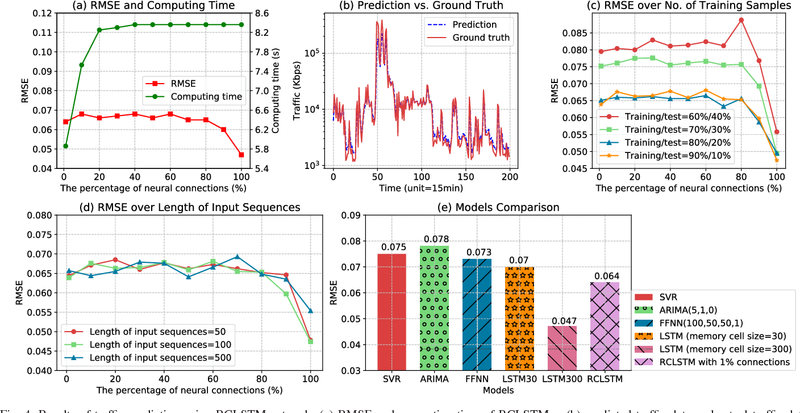 Learning long-range dependencies that are embedded in time series is often an obstacle for most algorithms, whereas Long Short-Term Memory (LSTM) solutions, as a specific kind of scheme in deep learning, promise to effectively overcome the problem. 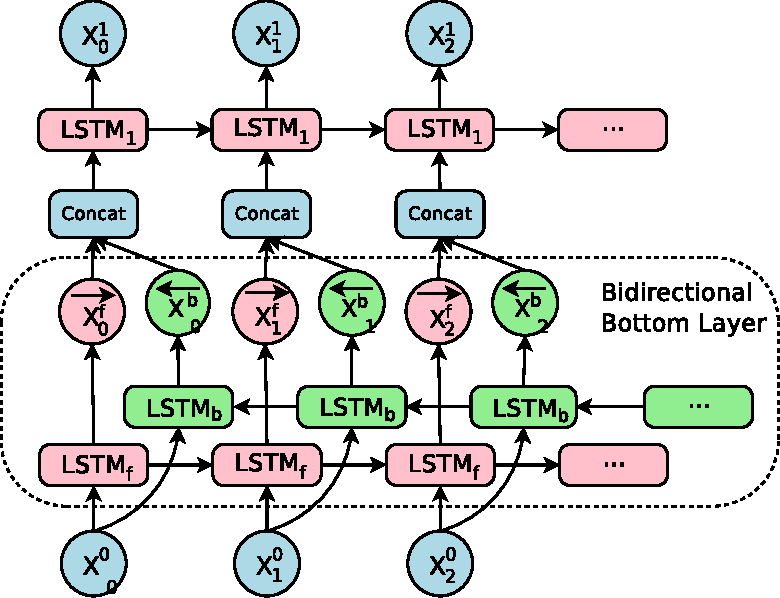 In this article, we first give a brief introduction to the structure and forward propagation mechanism of the LSTM model. 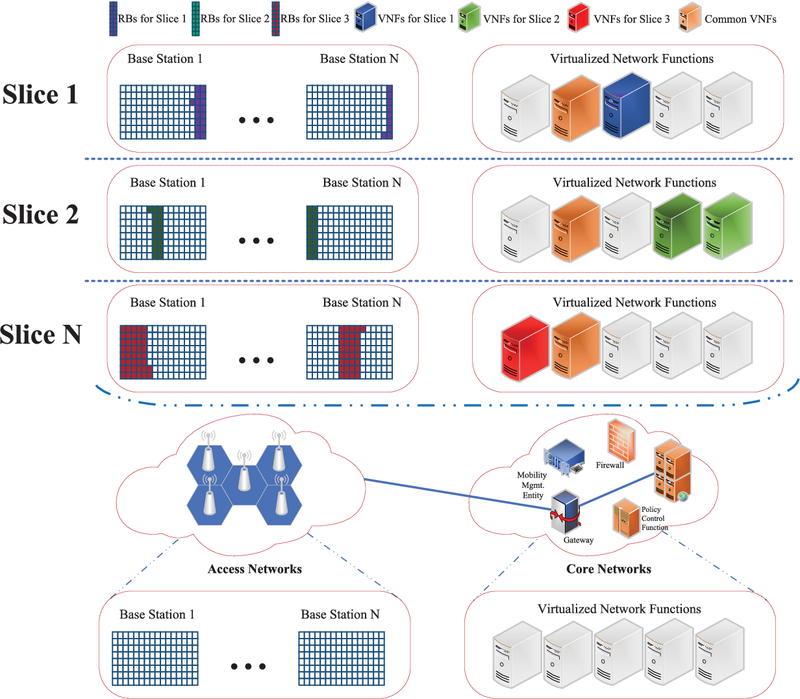 Then, aiming at reducing the considerable computing cost of LSTM, we put forward the Random Connectivity LSTM (RCLSTM) model and test it by predicting traffic and user mobility in telecommunication networks. 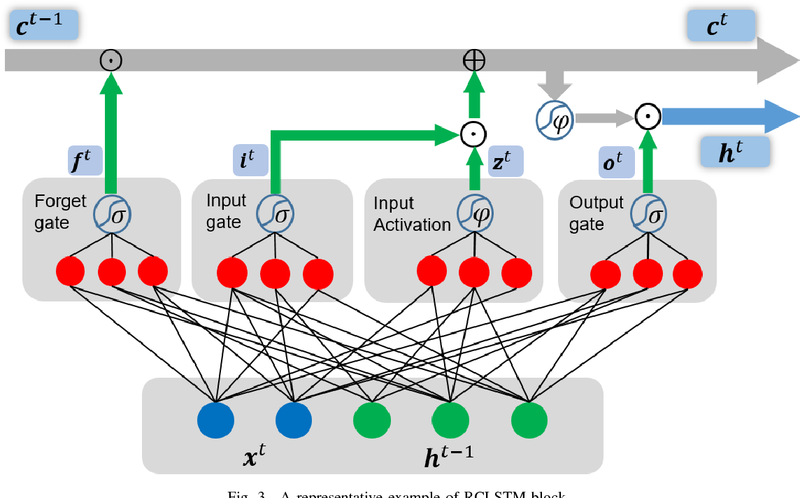 Compared to LSTM, RCLSTM is formed via stochastic connectivity between neurons, which achieves a significant breakthrough in the architecture formation of neural networks. 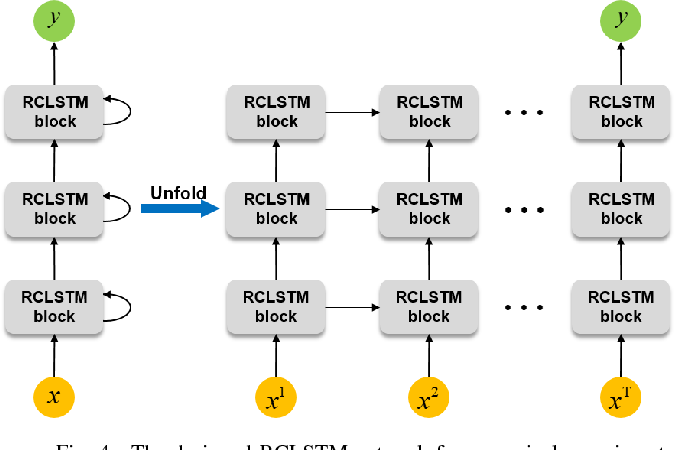 In this way, the RCLSTM model exhibits a certain level of sparsity, which leads to an appealing decrease in the computational complexity and makes the RCLSTM model become more applicable in latency-stringent application scenarios. In the field of telecommunication networks, the prediction of traffic series and mobility traces could directly benefit from this improvement as we further demonstrate that the prediction accuracy of RCLSTM is comparable to that of the conventional LSTM no matter how we change the number of training samples or the length of input sequences. Traffic prediction plays an important role in evaluating the performance of telecommunication networks and attracts intense research interests. A significant number of algorithms and models have been put forward to analyse traffic data and make prediction. In the recent big data era, deep learning has been exploited to mine the profound information hidden in the data. 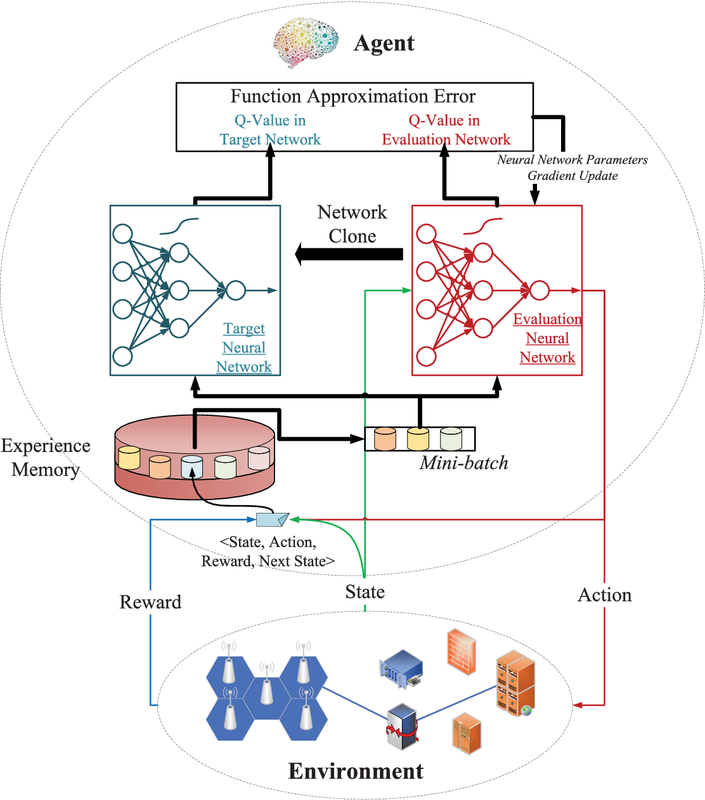 In particular, Long Short-Term Memory (LSTM), one kind of Recurrent Neural Network (RNN) schemes, has attracted a lot of attentions due to its capability of processing the long-range dependency embedded in the sequential traffic data. However, LSTM has considerable computational cost, which can not be tolerated in tasks with stringent latency requirement. 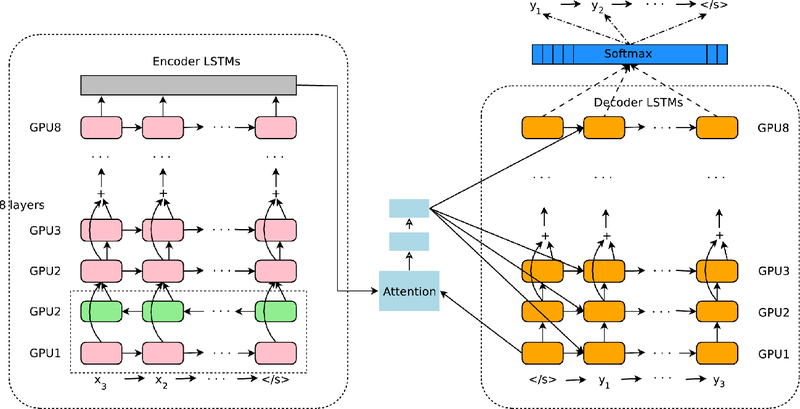 In this paper, we propose a deep learning model based on LSTM, called Random Connectivity LSTM (RCLSTM). 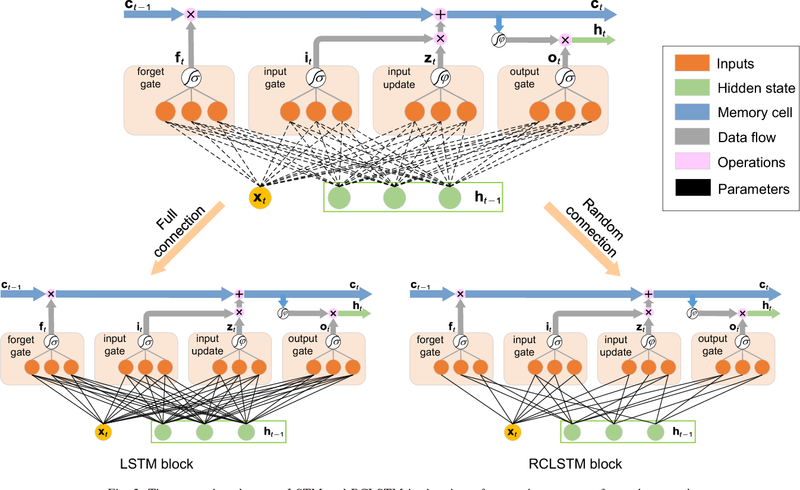 Compared to the conventional LSTM, RCLSTM makes a notable breakthrough in the formation of neural network, which is that the neurons are connected in a stochastic manner rather than full connected. So, the RCLSTM, with certain intrinsic sparsity, have many neural connections absent (distinguished from the full connectivity) and which leads to the reduction of the parameters to be trained and the computational cost. 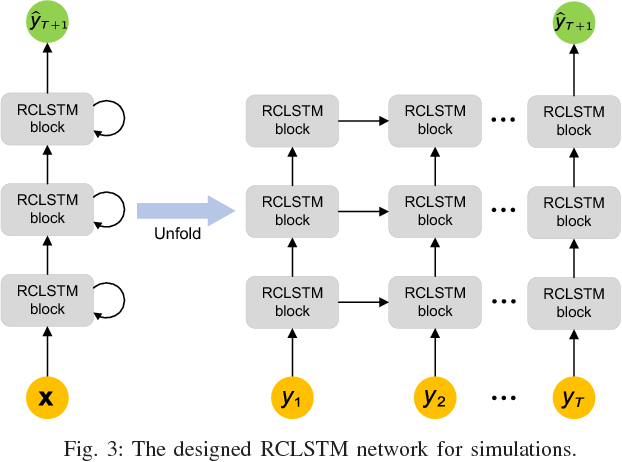 We apply the RCLSTM to predict traffic and validate that the RCLSTM with even 35% neural connectivity still shows a satisfactory performance. 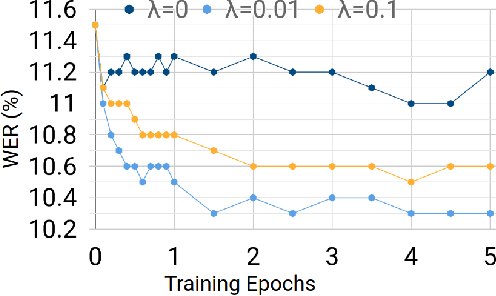 When we gradually add training samples, the performance of RCLSTM becomes increasingly closer to the baseline LSTM. Moreover, for the input traffic sequences of enough length, the RCLSTM exhibits even superior prediction accuracy than the baseline LSTM. 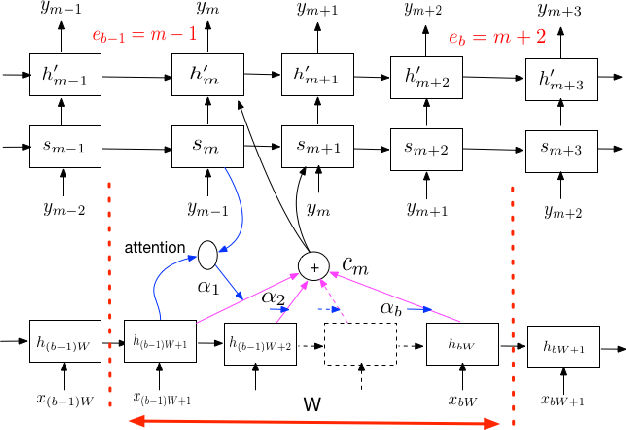 Attention-based sequence-to-sequence models for automatic speech recognition jointly train an acoustic model, language model, and alignment mechanism. 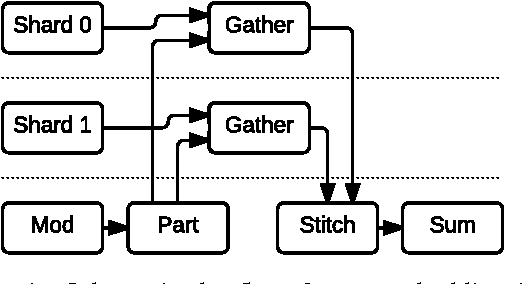 Thus, the language model component is only trained on transcribed audio-text pairs. This leads to the use of shallow fusion with an external language model at inference time. Shallow fusion refers to log-linear interpolation with a separately trained language model at each step of the beam search. In this work, we investigate the behavior of shallow fusion across a range of conditions: different types of language models, different decoding units, and different tasks. On Google Voice Search, we demonstrate that the use of shallow fusion with a neural LM with wordpieces yields a 9.1% relative word error rate reduction (WERR) over our competitive attention-based sequence-to-sequence model, obviating the need for second-pass rescoring. GPipe is a scalable pipeline parallelism library that enables learning of giant deep neural networks. It partitions network layers across accelerators and pipelines execution to achieve high hardware utilization. It leverages recomputation to minimize activation memory usage. For example, using partitions over 8 accelerators, it is able to train networks that are 25x larger, demonstrating its scalability. It also guarantees that the computed gradients remain consistent regardless of the number of partitions. It achieves an almost linear speed up without any changes in the model parameters: when using 4x more accelerators, training the same model is up to 3.5x faster. 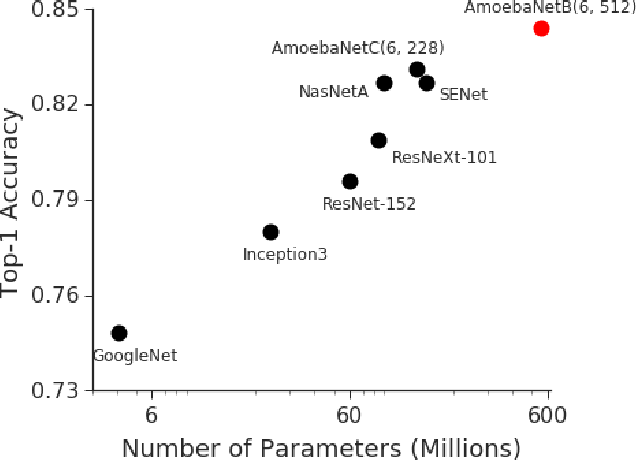 We train a 557 million parameters AmoebaNet model on ImageNet and achieve a new state-of-the-art 84.3% top-1 / 97.0% top-5 accuracy on ImageNet 2012 dataset. 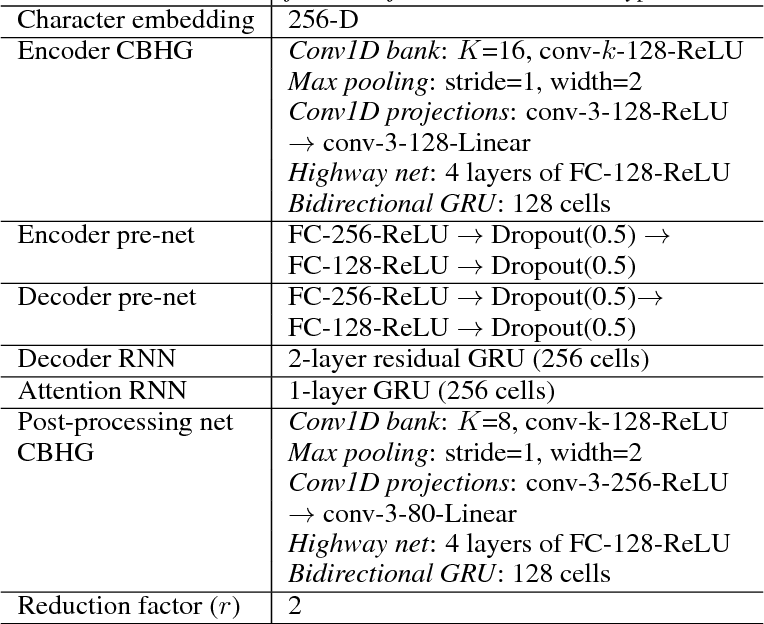 Finally, we use this learned model to finetune multiple popular image classification datasets and obtain competitive results, including pushing the CIFAR-10 accuracy to 99% and CIFAR-100 accuracy to 91.3%. A key problem in structured output prediction is direct optimization of the task reward function that matters for test evaluation. This paper presents a simple and computationally efficient approach to incorporate task reward into a maximum likelihood framework. By establishing a link between the log-likelihood and expected reward objectives, we show that an optimal regularized expected reward is achieved when the conditional distribution of the outputs given the inputs is proportional to their exponentiated scaled rewards. Accordingly, we present a framework to smooth the predictive probability of the outputs using their corresponding rewards. We optimize the conditional log-probability of augmented outputs that are sampled proportionally to their exponentiated scaled rewards. Experiments on neural sequence to sequence models for speech recognition and machine translation show notable improvements over a maximum likelihood baseline by using reward augmented maximum likelihood (RAML), where the rewards are defined as the negative edit distance between the outputs and the ground truth labels. Network slicing means an emerging business to operators and allows them to sell the customized slices to various tenants at different prices. In order to provide better-performing and costefficient services, network slicing involves challenging technical issues and urgently looks forward to intelligent innovations to make the resource management consistent with users' activities per slice. In that regard, deep reinforcement learning (DRL), which focuses on how to interact with the environment by trying alternative actions and reinforces the tendency actions producing more rewarding consequences, is emerging as a promising solution. 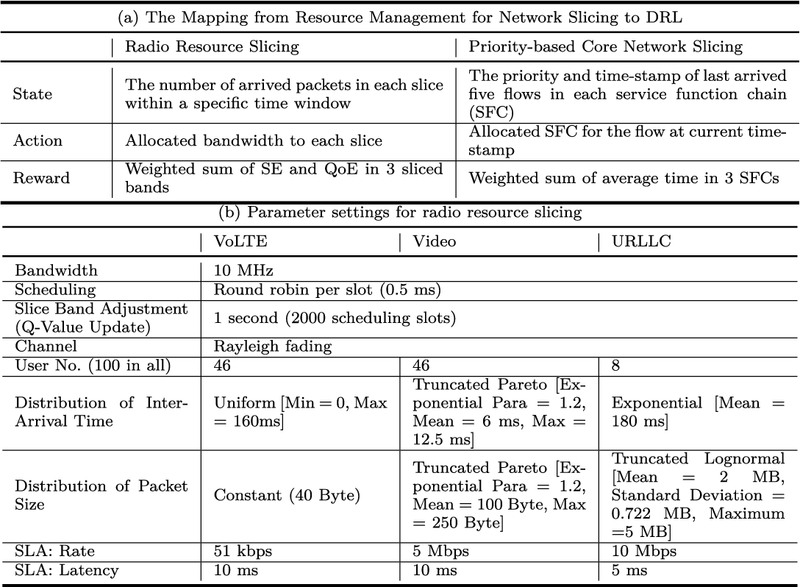 In this paper, after briefly reviewing the fundamental concepts and evolution-driving factors of DRL, we investigate the application of DRL in some typical resource management scenarios of network slicing, which include radio resource slicing and priority-based core network slicing, and demonstrate the performance advantage of DRL over several competing schemes through extensive simulations. Finally, we also discuss the possible challenges to apply DRL in network slicing from a general perspective. Sequence-to-sequence models, such as attention-based models in automatic speech recognition (ASR), are typically trained to optimize the cross-entropy criterion which corresponds to improving the log-likelihood of the data. However, system performance is usually measured in terms of word error rate (WER), not log-likelihood. Traditional ASR systems benefit from discriminative sequence training which optimizes criteria such as the state-level minimum Bayes risk (sMBR) which are more closely related to WER. In the present work, we explore techniques to train attention-based models to directly minimize expected word error rate. We consider two loss functions which approximate the expected number of word errors: either by sampling from the model, or by using N-best lists of decoded hypotheses, which we find to be more effective than the sampling-based method. In experimental evaluations, we find that the proposed training procedure improves performance by up to 8.2% relative to the baseline system. This allows us to train grapheme-based, uni-directional attention-based models which match the performance of a traditional, state-of-the-art, discriminative sequence-trained system on a mobile voice-search task. Having a sequence-to-sequence model which can operate in an online fashion is important for streaming applications such as Voice Search. 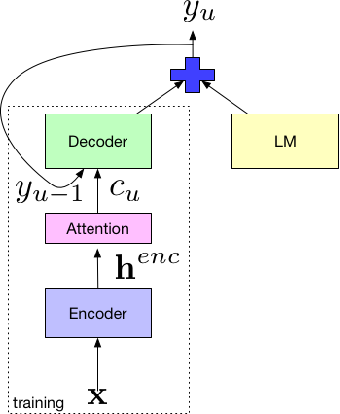 Neural transducer is a streaming sequence-to-sequence model, but has shown a significant degradation in performance compared to non-streaming models such as Listen, Attend and Spell (LAS). In this paper, we present various improvements to NT. Specifically, we look at increasing the window over which NT computes attention, mainly by looking backwards in time so the model still remains online. In addition, we explore initializing a NT model from a LAS-trained model so that it is guided with a better alignment. Finally, we explore including stronger language models such as using wordpiece models, and applying an external LM during the beam search. On a Voice Search task, we find with these improvements we can get NT to match the performance of LAS. The past year has witnessed rapid advances in sequence-to-sequence (seq2seq) modeling for Machine Translation (MT). 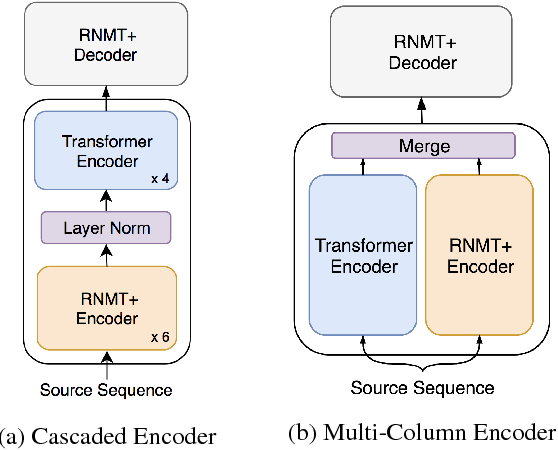 The classic RNN-based approaches to MT were first out-performed by the convolutional seq2seq model, which was then out-performed by the more recent Transformer model. Each of these new approaches consists of a fundamental architecture accompanied by a set of modeling and training techniques that are in principle applicable to other seq2seq architectures. In this paper, we tease apart the new architectures and their accompanying techniques in two ways. First, we identify several key modeling and training techniques, and apply them to the RNN architecture, yielding a new RNMT+ model that outperforms all of the three fundamental architectures on the benchmark WMT'14 English to French and English to German tasks. Second, we analyze the properties of each fundamental seq2seq architecture and devise new hybrid architectures intended to combine their strengths. Our hybrid models obtain further improvements, outperforming the RNMT+ model on both benchmark datasets. We propose a simple solution to use a single Neural Machine Translation (NMT) model to translate between multiple languages. Our solution requires no change in the model architecture from our base system but instead introduces an artificial token at the beginning of the input sentence to specify the required target language. 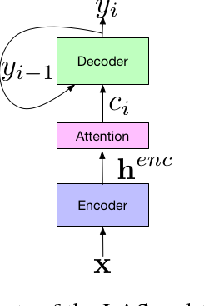 The rest of the model, which includes encoder, decoder and attention, remains unchanged and is shared across all languages. Using a shared wordpiece vocabulary, our approach enables Multilingual NMT using a single model without any increase in parameters, which is significantly simpler than previous proposals for Multilingual NMT. Our method often improves the translation quality of all involved language pairs, even while keeping the total number of model parameters constant. On the WMT'14 benchmarks, a single multilingual model achieves comparable performance for English$\rightarrow$French and surpasses state-of-the-art results for English$\rightarrow$German. Similarly, a single multilingual model surpasses state-of-the-art results for French$\rightarrow$English and German$\rightarrow$English on WMT'14 and WMT'15 benchmarks respectively. On production corpora, multilingual models of up to twelve language pairs allow for better translation of many individual pairs. In addition to improving the translation quality of language pairs that the model was trained with, our models can also learn to perform implicit bridging between language pairs never seen explicitly during training, showing that transfer learning and zero-shot translation is possible for neural translation. Finally, we show analyses that hints at a universal interlingua representation in our models and show some interesting examples when mixing languages. 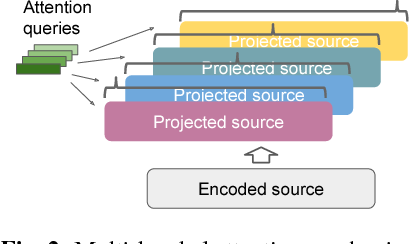 This paper proposes a neural end-to-end text-to-speech (TTS) model which can control latent attributes in the generated speech that are rarely annotated in the training data, such as speaking style, accent, background noise, and recording conditions. The model is formulated as a conditional generative model with two levels of hierarchical latent variables. The first level is a categorical variable, which represents attribute groups (e.g. clean/noisy) and provides interpretability. The second level, conditioned on the first, is a multivariate Gaussian variable, which characterizes specific attribute configurations (e.g. noise level, speaking rate) and enables disentangled fine-grained control over these attributes. 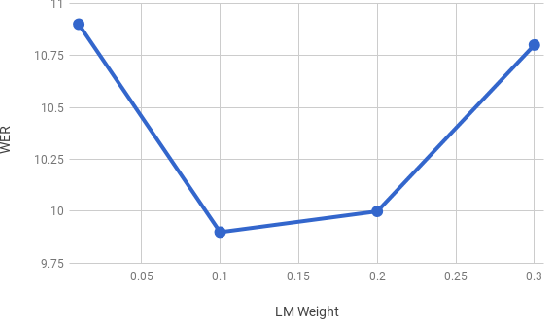 This amounts to using a Gaussian mixture model (GMM) for the latent distribution. Extensive evaluation demonstrates its ability to control the aforementioned attributes. In particular, it is capable of consistently synthesizing high-quality clean speech regardless of the quality of the training data for the target speaker. For decades, context-dependent phonemes have been the dominant sub-word unit for conventional acoustic modeling systems. This status quo has begun to be challenged recently by end-to-end models which seek to combine acoustic, pronunciation, and language model components into a single neural network. Such systems, which typically predict graphemes or words, simplify the recognition process since they remove the need for a separate expert-curated pronunciation lexicon to map from phoneme-based units to words. 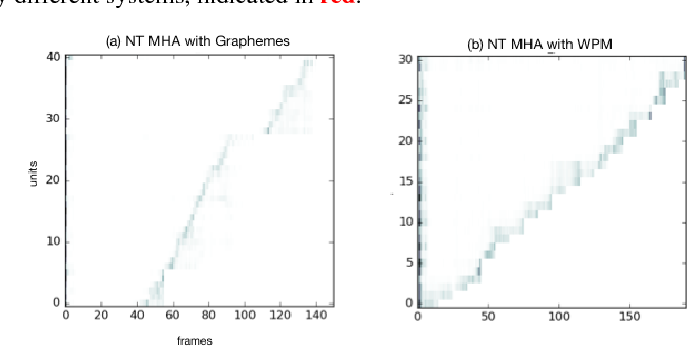 However, there has been little previous work comparing phoneme-based versus grapheme-based sub-word units in the end-to-end modeling framework, to determine whether the gains from such approaches are primarily due to the new probabilistic model, or from the joint learning of the various components with grapheme-based units. 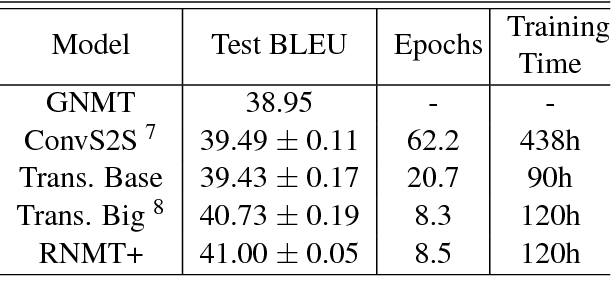 In this work, we conduct detailed experiments which are aimed at quantifying the value of phoneme-based pronunciation lexica in the context of end-to-end models. We examine phoneme-based end-to-end models, which are contrasted against grapheme-based ones on a large vocabulary English Voice-search task, where we find that graphemes do indeed outperform phonemes. We also compare grapheme and phoneme-based approaches on a multi-dialect English task, which once again confirm the superiority of graphemes, greatly simplifying the system for recognizing multiple dialects. This paper describes Tacotron 2, a neural network architecture for speech synthesis directly from text. 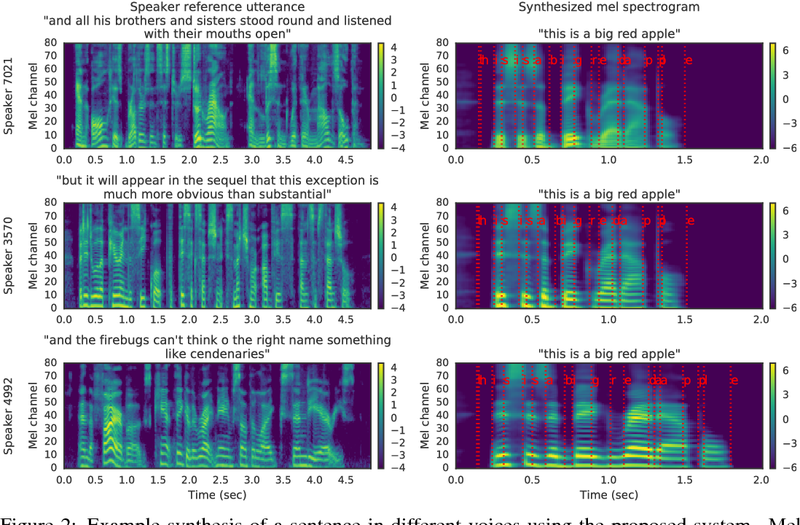 The system is composed of a recurrent sequence-to-sequence feature prediction network that maps character embeddings to mel-scale spectrograms, followed by a modified WaveNet model acting as a vocoder to synthesize timedomain waveforms from those spectrograms. Our model achieves a mean opinion score (MOS) of $4.53$ comparable to a MOS of $4.58$ for professionally recorded speech. To validate our design choices, we present ablation studies of key components of our system and evaluate the impact of using mel spectrograms as the input to WaveNet instead of linguistic, duration, and $F_0$ features. We further demonstrate that using a compact acoustic intermediate representation enables significant simplification of the WaveNet architecture. 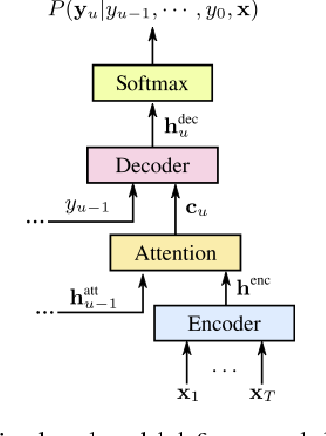 A text-to-speech synthesis system typically consists of multiple stages, such as a text analysis frontend, an acoustic model and an audio synthesis module. Building these components often requires extensive domain expertise and may contain brittle design choices. In this paper, we present Tacotron, an end-to-end generative text-to-speech model that synthesizes speech directly from characters. Given <text, audio> pairs, the model can be trained completely from scratch with random initialization. We present several key techniques to make the sequence-to-sequence framework perform well for this challenging task. Tacotron achieves a 3.82 subjective 5-scale mean opinion score on US English, outperforming a production parametric system in terms of naturalness. 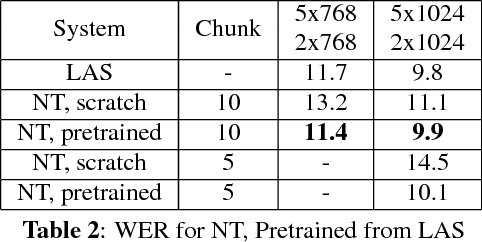 In addition, since Tacotron generates speech at the frame level, it's substantially faster than sample-level autoregressive methods. 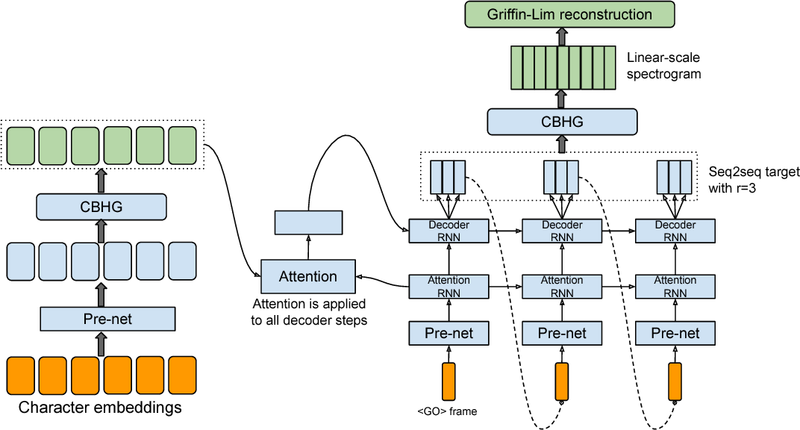 Attention-based encoder-decoder architectures such as Listen, Attend, and Spell (LAS), subsume the acoustic, pronunciation and language model components of a traditional automatic speech recognition (ASR) system into a single neural network. 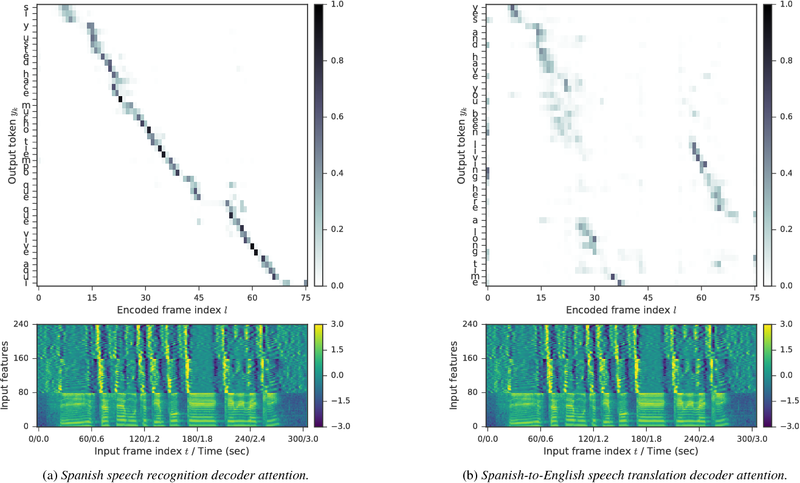 In previous work, we have shown that such architectures are comparable to state-of-theart ASR systems on dictation tasks, but it was not clear if such architectures would be practical for more challenging tasks such as voice search. In this work, we explore a variety of structural and optimization improvements to our LAS model which significantly improve performance. On the structural side, we show that word piece models can be used instead of graphemes. We also introduce a multi-head attention architecture, which offers improvements over the commonly-used single-head attention. On the optimization side, we explore synchronous training, scheduled sampling, label smoothing, and minimum word error rate optimization, which are all shown to improve accuracy. 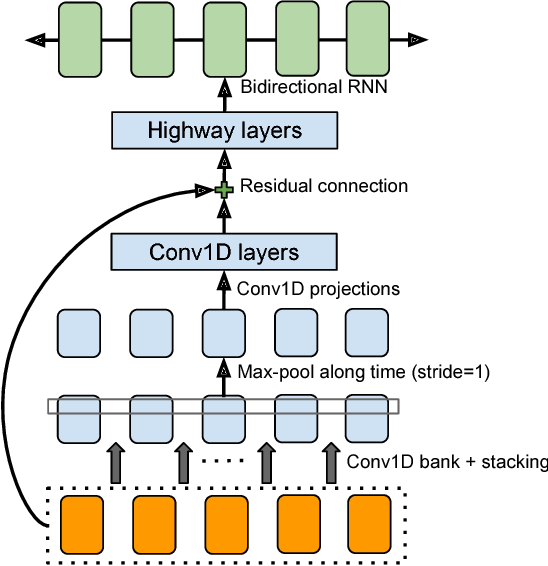 We present results with a unidirectional LSTM encoder for streaming recognition. 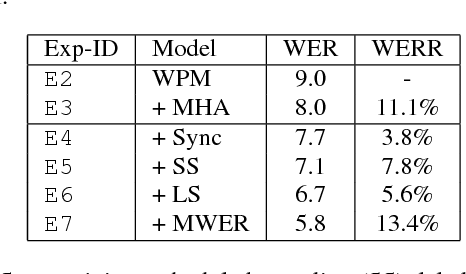 On a 12, 500 hour voice search task, we find that the proposed changes improve the WER from 9.2% to 5.6%, while the best conventional system achieves 6.7%; on a dictation task our model achieves a WER of 4.1% compared to 5% for the conventional system. Neural Machine Translation (NMT) is an end-to-end learning approach for automated translation, with the potential to overcome many of the weaknesses of conventional phrase-based translation systems. Unfortunately, NMT systems are known to be computationally expensive both in training and in translation inference. Also, most NMT systems have difficulty with rare words. These issues have hindered NMT's use in practical deployments and services, where both accuracy and speed are essential. 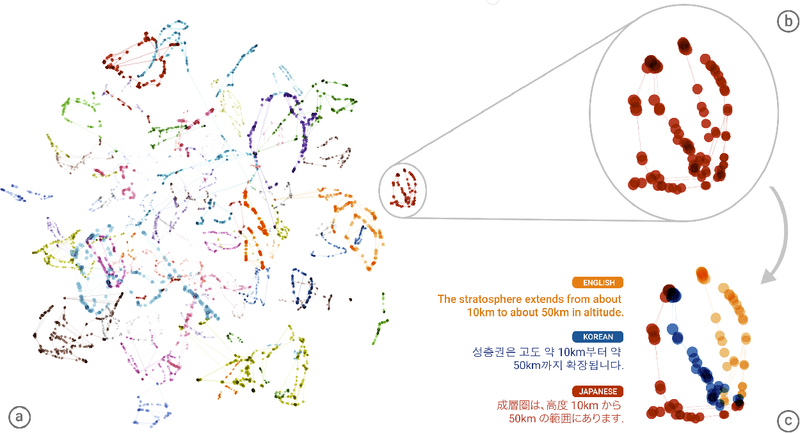 In this work, we present GNMT, Google's Neural Machine Translation system, which attempts to address many of these issues. 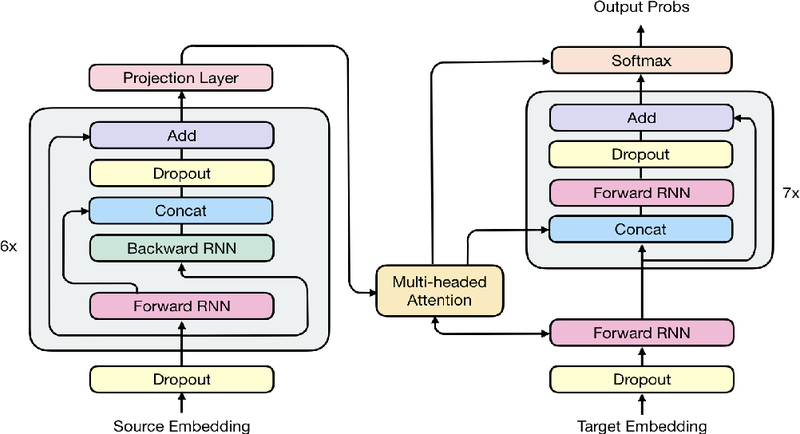 Our model consists of a deep LSTM network with 8 encoder and 8 decoder layers using attention and residual connections. 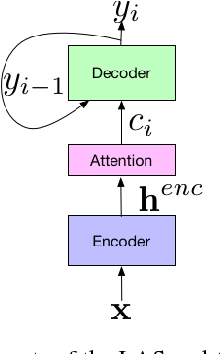 To improve parallelism and therefore decrease training time, our attention mechanism connects the bottom layer of the decoder to the top layer of the encoder. To accelerate the final translation speed, we employ low-precision arithmetic during inference computations. To improve handling of rare words, we divide words into a limited set of common sub-word units ("wordpieces") for both input and output. This method provides a good balance between the flexibility of "character"-delimited models and the efficiency of "word"-delimited models, naturally handles translation of rare words, and ultimately improves the overall accuracy of the system. Our beam search technique employs a length-normalization procedure and uses a coverage penalty, which encourages generation of an output sentence that is most likely to cover all the words in the source sentence. On the WMT'14 English-to-French and English-to-German benchmarks, GNMT achieves competitive results to state-of-the-art. Using a human side-by-side evaluation on a set of isolated simple sentences, it reduces translation errors by an average of 60% compared to Google's phrase-based production system.